For all of the features onsite, it's the people that make this truly great. Mulberry broadcasts itself as "a welcoming community" and that really is a focus. The knitting group is just one example of a friendship circle (a "great group of ladies," says one member) within the larger community. 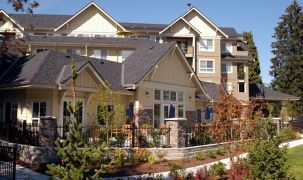 Ideal for families from Burnaby and New Westminster, and for seniors from anywhere else who want to be closer to kids and grandkids in the Burnaby area, it's a spectacular retirement home experience. 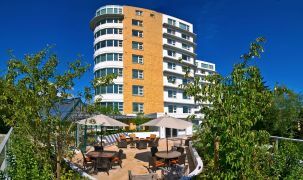 Mulberry PARC is focused on enhancing your life, improving your overall wellbeing, including (or perhaps especially) your social activity. Here, it's easy to pursue previous passions or try out new interests. Your life will improve at Mulberry PARC. 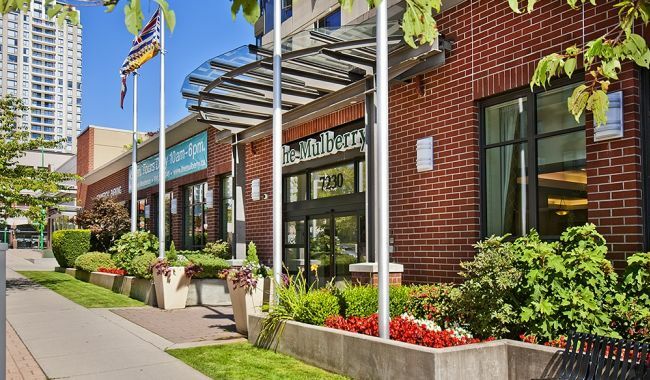 This is across the street from Highgate Mall and near everything you need in shops and services, including Edmonds Seniors Centre and the Eastburn Community Centre. 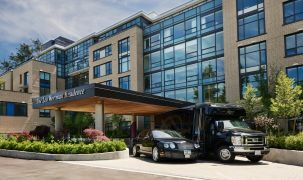 You'll also find parks and medical facilities, churches and banks, the library… and public transit to take you anywhere else you want to go in Greater Vancouver. PARC's Independent Living+ program improves both mind and body. We keep very busy here. When people say they’re bored, it’s because they’re not doing anything. Here, there’s always something to do. [Knitting-For-A-Cause, one weekly group] is a wonderful social time… [some members] would say to me they hadn’t knit in years and I decided to change that. It brings them out of their suites and out of their shells. Their disposition improves. There’s lot to do here. I really appreciate the flexibility and freedom here because I’ve always been very busy in my life.